Do You Need Sales Experience to be a Geriatric Care Manager? Doing a successful client intake takes two Aging life /geriatric care management skills- knowledge and experience in geriatric care management and something that few aging life care managers have – a sales background. Let’s touch on the first. 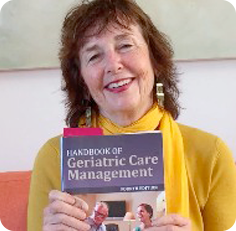 All geriatric care managers must have a degree in the health care field such as nursing or social work. An advanced degree is optimum. Care managers also need a background in family therapy- specifically the aging family system. You rarely work with just the elderly or disabled client. Most of your work is with the family system-adult children, the older person and the extended family. That takes knowing family therapy. Let’s touch on the first. All geriatric care managers must have a degree in the healthcare field such as nursing or social work. An advanced degree is optimum. Care managers also need a background in family therapy- specifically the aging family system. You rarely work with just the elderly or disabled client. Most of your work is with the family system-adult children, the older person, and the extended family. That takes knowing family therapy. But here is a deal breaker , most geriatric care managers did not know they must have. You need a sales background to do an intake and get the client in your services. You started a private aging life business to help older people but in order to successfully help them, yourself and your own family, ( kids need braces- you need to pay your mortgage) you have to know how to sell your product to make money. That takes knowing and feeling comfortable with sales. But here is a deal breaker, most geriatric care managers did not know they must have. You need a sales background to do an intake and get the client in your services. But here is a deal breaker, most care managers did not know they must have. You need a sales background to do an intake and get the client to sign a contract and give you a deposit for your services.